Emotions got the better of Dennis Rodman just minutes into a news conference he presided over in Auburn Hills, Mich., on Friday. 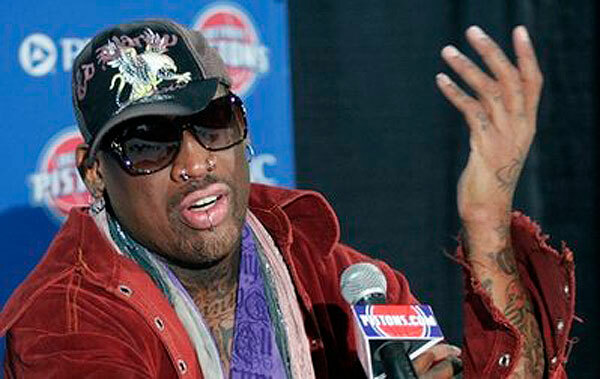 Rodman is in town to have his No. 10 retired by the Detroit Pistons. He was remarkably composed throughout the better part of the question-and-answer session with media, but broke down while assessing his time spent as a part of Detroit's two championships in 1989 and 1990, telling the media that he felt as if he "doesn't deserve to have [the number] retired," because there "was so much else I should have done" in Detroit.